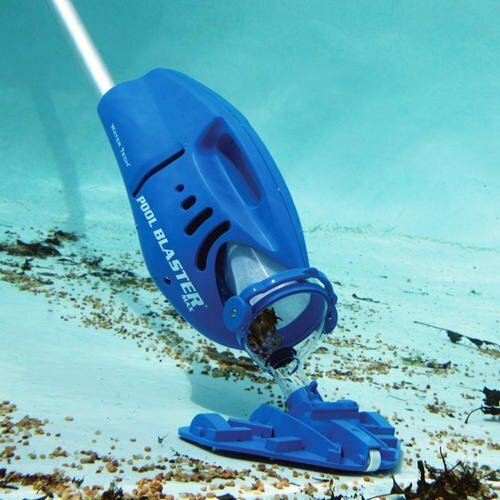 The remarkable "Pool Blaster Max" makes spot cleaning your pool a breeze. This powerful cleaner has its own internal Super Pump that quickly vacuums up dirt, sand, debris & even small rocks. All debris are caught in the cleaner's own reusable, easy to clean, extra-large capacity filtration bag. Pool Blaster Max doesn't require electrical cords or cumbersome hoses. Its powerful electric motor is rechargeable and completely safe. Pool Blaster will run up to 1 hour on a single charge! 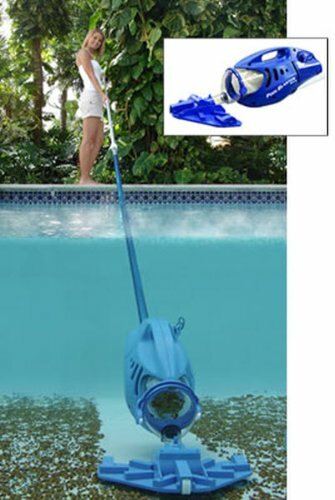 The unit is easily hand held for shallow area cleaning & attaches to a telepole for deeper areas of the pool. 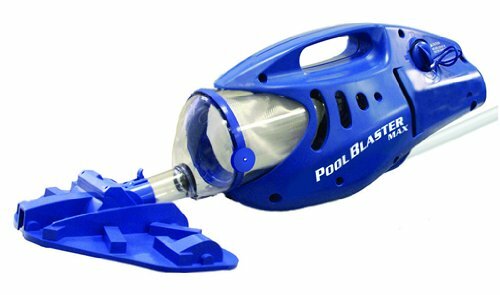 Super easy to handle and light- Pool Blaster weighs in at only 6 pounds! Vacuum head is 10.75" wide, and also comes with a crevice corner nozzle for cleaning tight areas. Rechargeable Nickel Metal Hydride battery included. One-year warranty.